A huge portion of drivers in have one question in common; where can I get quality import car service? Tempe is chalk full of run-of-the-mill mechanics who make lofty promises that they can handle any vehicle you drive. We specialize in import auto repair and have taken steps to ensure that our import service is second to none. One of the major stumbling blocks that many technicians run into with import auto repair is proper diagnostic of a vehicle problem. The principle that many technicians operate on is the idea that diagnostic tools will provide a readout of the vehicle problems which they can then address directly. For quality auto repair this is simply not true. An accurate diagnostic of car problems requires a strong measure of skill and experience in first assessing the trouble, and exercising logic to determine the root of the issue. Once the source of the trouble is discovered, repairs can begin. This is most often the major difference between your common mechanic and a qualified, trained mechanic. Our technicians are ASE certified and are constantly honing their skills and expanding their experience to deal with even the most complex automotive trouble. Because we specialize in dealing with the specifics of imported vehicles, you can expect a repair which not only addresses the side effects of an issue, but tackles the underlying reason behind the failure of a component. We don’t believe that our customers will be satisfied with a series of band aids applied to their vehicle, but rather work to repair the source of the issue, end the cycle of temporary solutions. One of the more difficult ideas to embrace when it comes to maintenance procedures is the interconnection of systems in your vehicle. For example, many drivers are not aware that vehicle alignment can have a huge effect on the function of their suspension system. Another example of this is the proper operation of the radiator can often dictate the health of an engine. By keeping all of the systems in your vehicle within factory specifications, you help ensure the longevity of your vehicle. This is why many drivers who neglect maintenance can sometimes experience a sudden outbreak of car troubles all at once. There are a few things that need to address directly to ensure that your vehicle will experience as few problems as possible. We have compiled the short list for your convenience. Oil Change - many drivers are surprised at the long list of problems that can be avoided by simply changing their oil. Oil is essentially the life blood of your engine. Has an effect on all the major components of your engine, keeping them lubricated properly, and reducing the harmful effects of friction and helping keep your engine clean. Changing your oil regularly is necessary because, over time, engine oil becomes contaminated with grime. This dirt negatively affects the lubricating properties of oil and can cause overheating and a rough running engine. 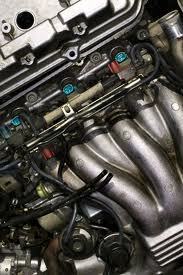 Belts and Hoses - consider the belts and hoses of your vehicle as the arteries and blood vessels of a human body. There are several secondary systems that are run by belts connected to your engine, if the belts that run these systems fail, and then the secondary system can experience serious trauma and inability to operate properly. Hoses are important because they carry necessary fluids for smooth operation. Allowing a hose to wear down is exactly like cutting off circulation to a limb and expecting it to function normally. 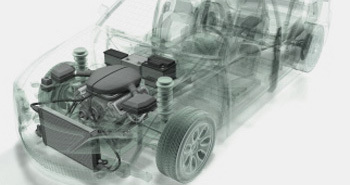 Cooling system - the internal combustion engine relies heavily on maintaining a prime operating temperature. An interesting fact is that a motor becomes more efficient at a certain temperature. However, if this temperature is exceeded, the components of your engine become subject to damage. One of the best ways to combat this is to periodically exchange your radiator coolant and inspect the coolant lines for wear, weak spots and leaks. Fuel delivery and Ignition - The fuel system in your vehicle is just one of the systems that can bring your vehicle to its knees in short order. Fuel injectors, Spark plugs, Injectors and fuel lines need to be maintained if you want your car to run properly. Many drivers forget the necessity of changing out their fuel filter because we rarely consider the quality of the gasoline we use. Changing out your fuel filter will help stop grime from building up in the combustion cylinders of your vehicle, and help extend the life of your fuel injectors. Preventative Maintenance is often overlooked because many drivers are concerned that their mechanic will present them with a sizeable bill for service. Our approach is one of only recommending the maintenance services that you vehicle actually needs, when it needs it. We invite you to speak to our service advisor about scheduling maintenance at a frequency that works for your car and your budget, our skill with import maintenance service is rivaled only by our customer service ethic and our attention to your individual needs. Call today for further information on what we can do to help make sure your vehicle serves you well, when you need it the most.